Making XCOM into a shooter was never going to be easy. It is a series nearly synonymous with tactical, strategic gameplay — the kind where careful decision-making is paramount and quick reflexes have little place. Nonetheless, the success of Firaxis Games’ XCOM: Enemy Unknown in 2012 must have helped spur on the decision to bring the franchise to the widest audience possible by continuing development of the long-gestating action offshoot of the series. 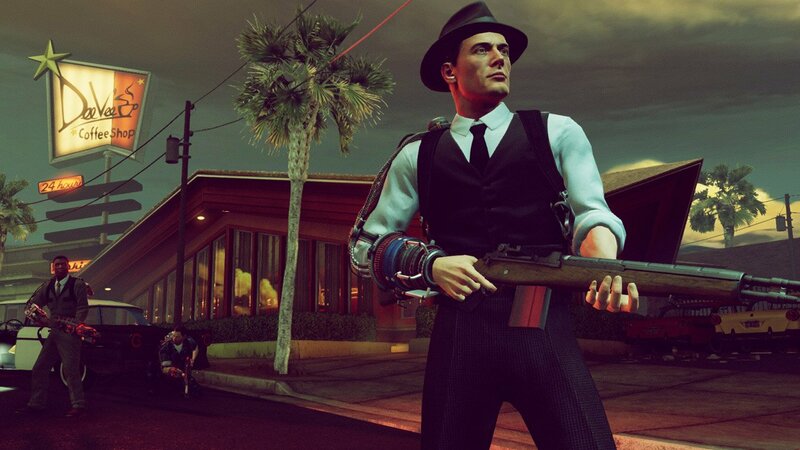 The resulting release, 2K Marin’s The Bureau: XCOM Declassified, is an uneven game that demonstrates the problems inherent in trying to turn one type of game into another. If nothing else, the premise of the game is a pretty good one. It’s 1962 and XCOM exists as a bare-bones American force meant to counter a possible Soviet invasion. When aliens make a surprise attack on Earth, its directive is changed and the covert force finds itself fighting to keep the human race alive. 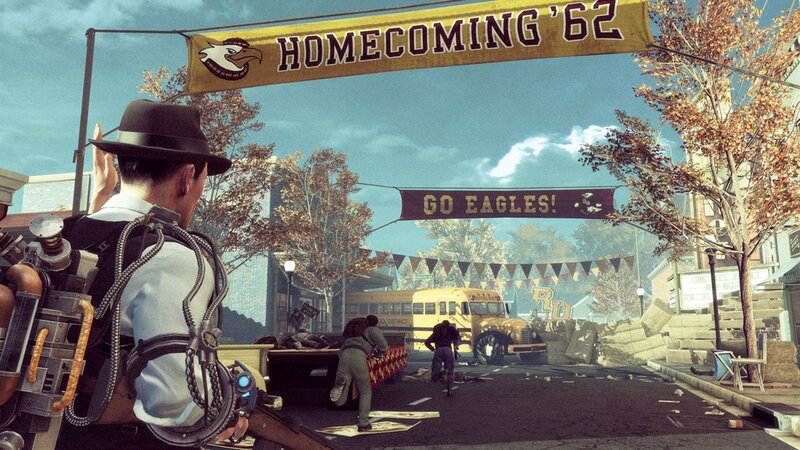 The 1960s setting is a good fit for XCOM‘s usual mix of flying saucers and laser guns. The Bureau, while retaining some of the alien and weapon designs found in the strategy titles, has a distinct aesthetic. The agents wear ties, hats, and rolled-up shirt sleeves. They smoke cigarettes indoors and monitor giant, old-style transistor radios. But for all 2K Marin does in making its version of XCOM unique, there are times when the plot tries so hard to establish its own identity that it goes entirely off the rails. The last few hours of the game are particularly bizarre, and the gameplay is just as confused as the narrative. The Bureau isn’t quite sure if it would rather appeal to diehard fans of the series or the mainstream audience that 2K Games is obviously hoping to interest. The decision to throw a little bit of everything into the mix only makes it muddled. The tactics and character customization are too light to satisfy fans of the traditional XCOM games, while the gunplay isn’t refined enough to stand out amongst other third-person shooters. This shows the basic design problem that The Bureau illustrates. Simply enough, it’s not always possible to take one type of game and turn it into another without either creating a poor title or making someone mad in the process. It’s hard to assign too much blame to 2K Marin because of this. After all, The Bureau certainly isn’t a bad game, just really confused as to what it wants to be. What is a developer supposed to do when tasked with turning a niche title into a mainstream shooter? It must have been a nightmare to be a member of the studio given such a project. How do you balance the creation of your own characters and plot with throwbacks to the series your game is based on? How do you make an interesting strategy experience that appeals to both fans of that genre and those who just want to enjoy a typical shooter? Given the circumstances, the fact that 2K Marin managed to make The Bureau as good as it is seems like a pretty astounding feat. Genre transitions of this type have been attempted before, but outside of mascot games featuring malleable characters like Mario and Sonic (who are quite capable of starring in everything from kart racers to sports titles) it’s not always successful. Many of the Final Fantasy spin-offs have shown that role-playing characters aren’t always great action heroes; Mortal Kombat‘s Sub-Zero might be better suited to the original fighting game than a brawler; Link should probably avoid crossbow training and stick to exploring dungeons. Maybe it’s best to let developers have a greater amount of leeway when creating their work. The Bureau‘s lack of confidence — the feeling that its tactical mechanics were added into the game partway through — is its failing. A team that takes a series in a new direction can only accomplish the leap when they’re passionate about the transition and aren’t afraid to leave behind elements of the past that they no longer need. Not every move from genre to genre leads to a Metroid Prime or Fallout 3. Sometimes we get a talented developer like 2K Marin creating something as uneven as The Bureau: XCOM Declassified.